Splash Paddy® is manufactured and/or distributed by August Concepts LLC located in Northeastern Pennsylvania. August Concepts LLC is a product development company and manufacturer of home products. Our mission is to create simple products that enrich our customer’s daily lives. Our goal is to create, develop and market good products that can be manufactured at a reasonable cost without sacrificing quality. Owner Wayne said he and his wife were just so tired of getting soaked when using the sink. 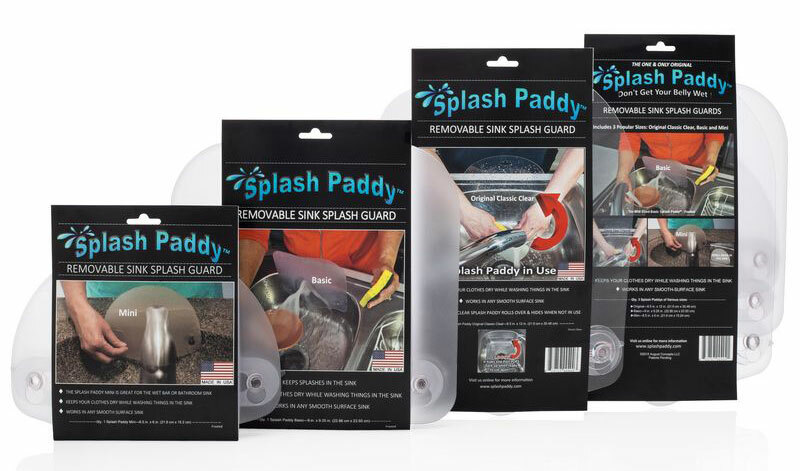 “I created the Splash Paddy® guard to protect us from getting wet and life’s been good ever since”. The Splash Paddy® really does work and we stand by our products. We now offer a Mini Splash Paddy® and it works great for smaller sinks.